John is as local as local gets! He has a vested interest in his community, having grown up here and still living in the area with his wife and three children. 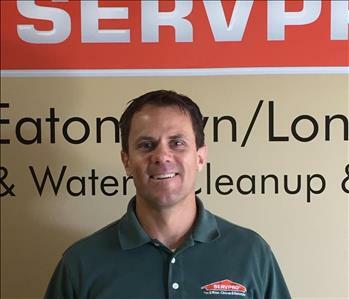 He has been the owner of SERVPRO of Eatontown/Long Branch since 2008. He is IICRC certified, as well as trained in biohazard remediation, WRT, applied structural drying, AMRT and commercial dry cleaning. 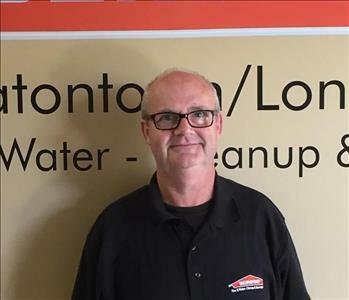 Terry has been with SERVPRO of Eatontown/Long Branch for eight years, coming from a diverse business background. 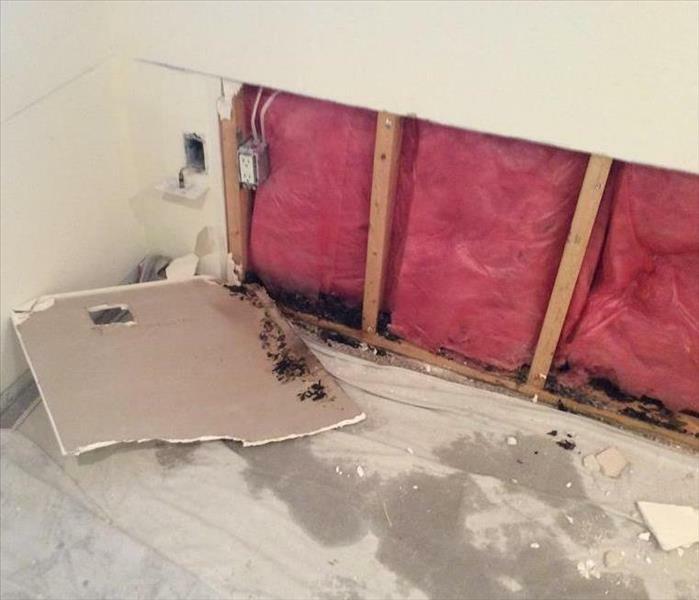 She is IICRC Certified, and has certification as a Water Damage Restoration Technician, as well as Applied Structural Dryng and Hoarding Cleanup. 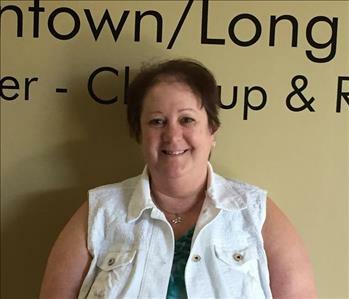 Terry is a passionate baker and former cake decorating instructor, is President and life member of the Ladies Auxiliary of her fire house and loves pizza. 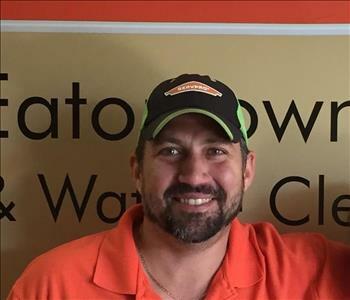 Frank is a construction company owner who has been with SERVPRO of Eatontown/Long Branch since 2017. His background also includes working in the pharmaceutical industry. Frank admits to being a bit of a mama's boy! He likes the Foo Fighters and chicken Marsala. Tim has owned and operated Atlantic Restoration for 22 years before joining SERVPRO of Eatontown/Long Branch in the beginning of 2018. He likes to listen to the Grateful Dead and enjoys all types of seafood. 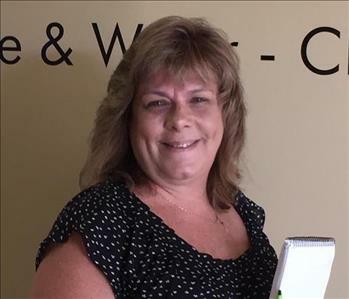 Kathy has been with SERVPRO of Eatontown/Long Branch since 2014. She makes sure our technicians go where they need to be and keeps everything in order! Her diverse background gives her an advantage in dealing with our busy schedule. Kathy likes to listen to a variety of music, though Bruce Springsteen and the E Street Band is her favorite. She is a fan of Italian food. 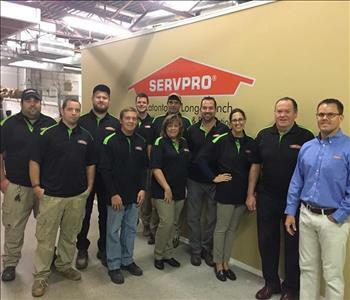 SERVPRO of Eatontown Long Branch staff members pose for their team photo for 2017. Owner John Majeski is seen here with most of his staff. Unfortunately not all are pictured. Project Managers (l-r) Mike and Jason are seen doing an estimate in a home after a fire. 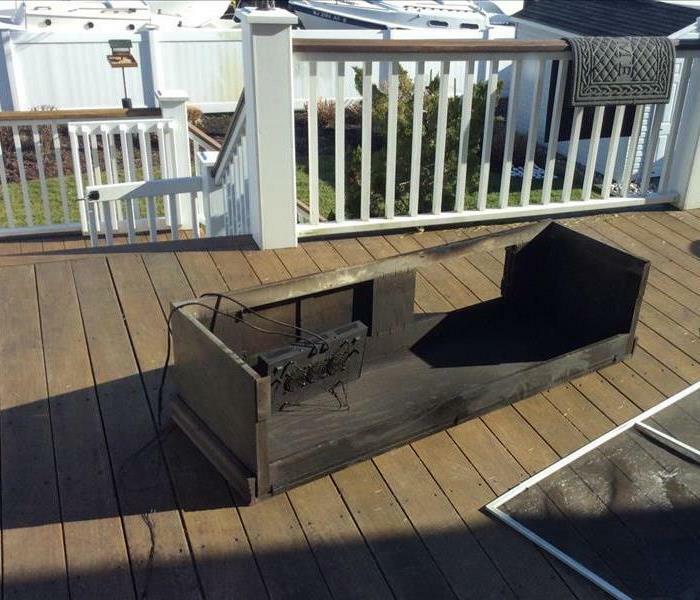 Each loss is unique, and it takes a knowledgeable professional to be able to check the damage and understand what needs to be done to help return the home back to its original state. Owner, John Majeski meeting with his project management team Jason and Mike on the scene of a commercial water loss in Red Bank. Here they discuss particulars of the job and how they will begin remediation. 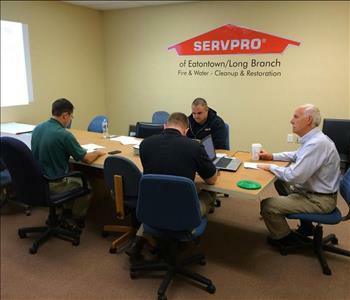 The SERVPRO of Eatontown/Long Branch Management Team meets with Bruce Wolf of Garden State Environmental Consultants to discuss the latest protocols for removing mold from residential and commercial properties. 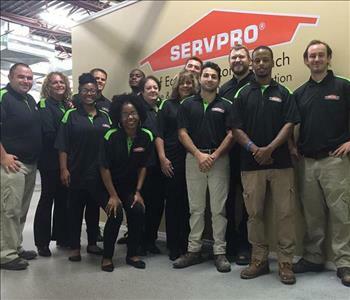 Franchise Team Members of SERVPRO of Eatontown/Long Branch pose for our yearly picture in 2016. Our production crew, office staff and marketing representatives are all present and accounted for!